Holy Family University, a member of the Bensalem Business Association, was recently shown some serious love by Money magazine. In its annual lists of “Best Colleges,” Money ranked Holy Family #4 among “Value All-Stars”, as #6 of the “25 Best Colleges in America You Can Actually Get Into,” and #68 overall of the 665 rated schools. Among other local universities, Villanova was ranked #114, La Salle #166, and St. Joe’s #168. Click here for a related article in the Daily News. This honorary member section is to list those individuals who have taken the time to assist the Bensalem Business Association and its members. This section is specifically for individuals who do not own a business or individuals who may hold a public service position. The Bensalem Business Association is not a political group. Rather we endeavor to help establish a dialogue between the business community and elected officials so that our discussed concerns and interests can be effectively addressed. We have decided to recognize the following individuals for their past and continuing contributions. Services: HVAC Installation and repair of Heat & Air Conditioning. 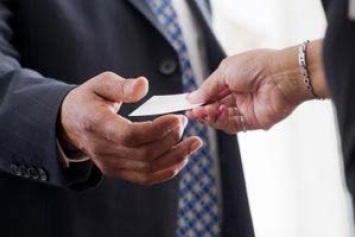 Services: Wide variety of legal services at reasonable prices to meet your needs. Services: Providing delicious and unique bundt cakes for any occasion! Services: Before and after school care. Services: On-site Hardware and Software Support. Sypek and Sandford Insurance Agency, Inc..
Services: Trophy, Plaques, Medals; Medallions, Crystal awards, Engraved signs, License plates etc. Andalusia TV and Video Inc.